You may have heard of Taco Tuesday, but you’ve never had tacos quite like this. I can’t wait to introduce you all to Instant Pot Tacos. Yes, you get to use the amazing Instant Pot and yes, they are amazing. I’ve been using my Instant Pot for almost a year now and I’ve yet to be disappointed. My husband raved about these Instant Pot Tacos for days. Plus, they are the most delicious because you are using the freshest of ingredients. We prefer hard shell tacos around here, but you can use any type of taco shells that you like. We even like to make Taco Salads out of this recipe. Go ahead and give the Instant Pot Tacos recipe a try the next Taco Tuesday you get, or any day of the week. They are delicious! 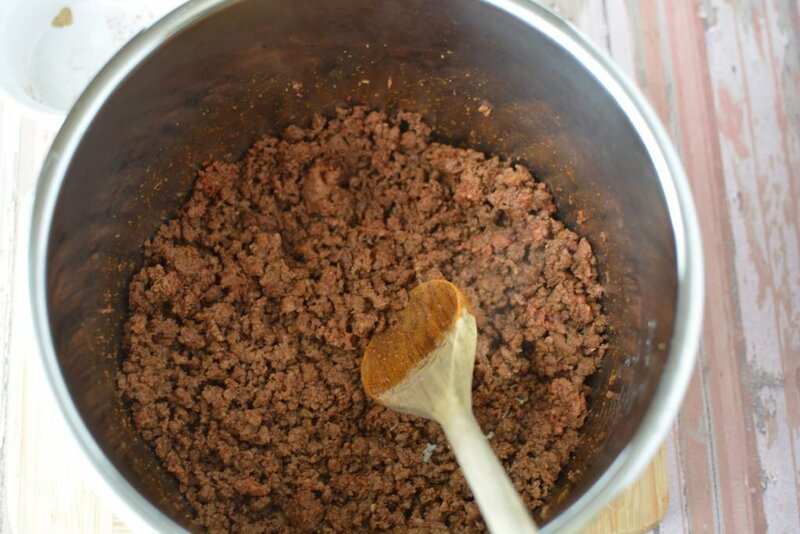 Add meat to the instant pot. Turn the pot onto sautee and brown the meat. Once browned, add in spices and seasoning. Stir to mix well. Add in water. Place the lid on the instant pot and close the pressure release valve. Set the instant pot to manual, high pressure for 10 minutes. Once cooking is done, quick release the steam and open the pot. Serve with taco shells and toppings. Taco Shells and Toppings per your liking. 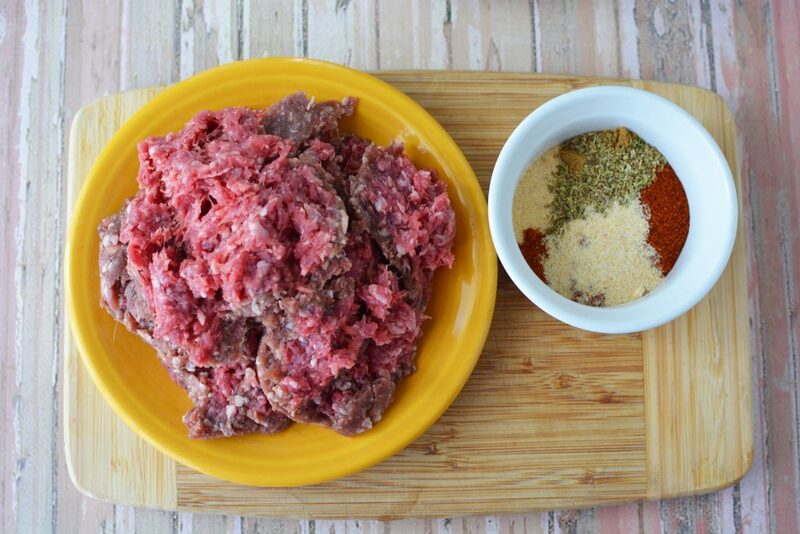 Add meat to the instant pot. Turn the pot onto sautee and brown the meat. Once browned, add in spices and seasoning. Stir to mix well. Add in water. 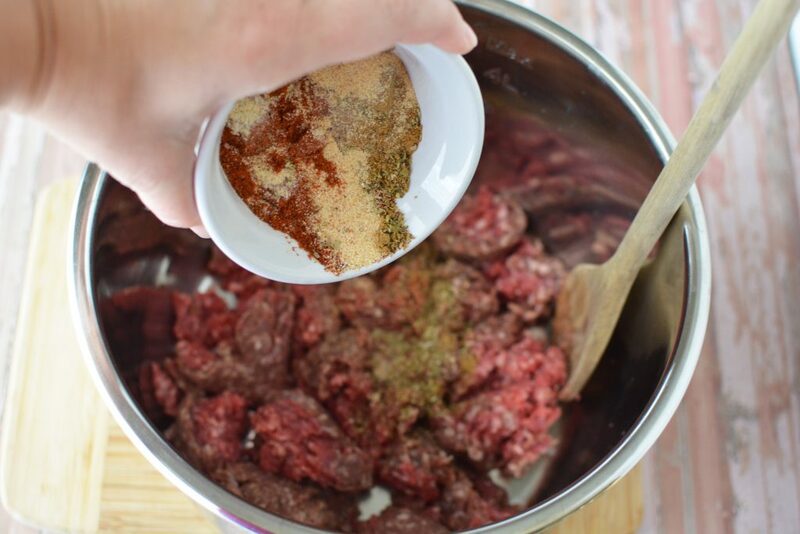 After the meat is browned, in the instant pot, do you drain the fat before adding the seasoning? Hi Amber, I personally would drain the fat. Thank you for stopping by.